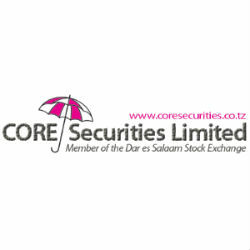 CORE Securities, one of the seven brokerage firms licensed by the Tanzania Capital Markets and Securities Authority (CMSA) presented its research about TOL Gases, the very first company to be listed at Dar es Salaam Stock Exchange (DSE) in 1998. The research is part of CORE Securities new Research Unit that aims at supplying free quality information about the opportunities available in the capital markets in Tanzania. TOL Gases is the market leader in Tanzania in the production and distribution of Air Separation Unit (ASU) products i.e. Oxygen, Nitrogen, Dissolved Acetylene (DA), Carbon dioxide, Welding equipment and accessories, medical gases and equipment. According to CORE Securities detailed research TOL Gases is currently undervalued with a current share price of TSZ260 and indicate a target price of TZS315 with an upside of 21.15%. After years of losses the company is now profitable and has announced by TOL Gases Chief Executive Officer Daniel Warungu for 2012 the company expects to reach TZS1 Billion mark profit for 2012. He also noted that with the current rise of the oil and gas industry in Tanzania, in great need for nitrogen, the future of the company is bright. TOL Gases is currently implementing it 6.3 plan by which TZS 6 Billion in profits will be achieved within the next 3 years. Mr Warungu complimented CORE Securities for the research and praised the initiative because of the scarcity of quality information available for investors at DSE. He also noted that company listing is the answer to the population’s demand to its share of Tanzania’s resources and wealth. As commented by Mr George Fumbuka, Chief Executive Officer and Chairman of CORE Securities, “This is the first of a series of quarterly research about the companies listed at DSE. The next research will be about TWIGA Cement”.